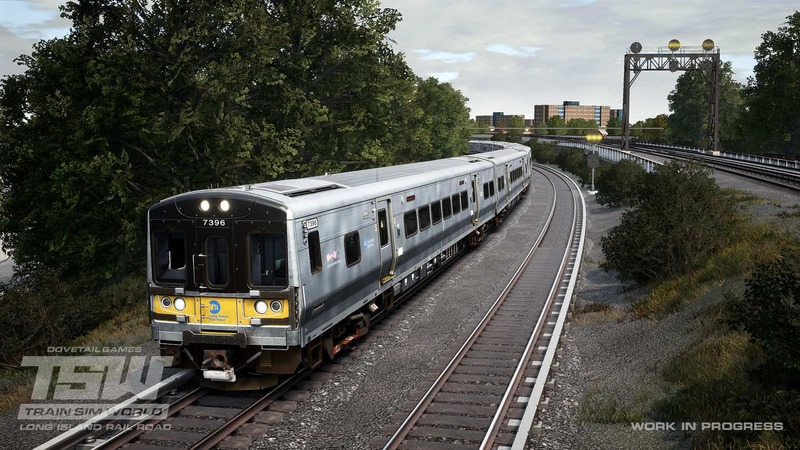 The Long Island Rail Road is America’s busiest commuter route and one of the country’s most historic and legendary railroads – and it’s coming soon to Train Sim World! Operating 24 hours a day, seven days a week, the famed “LIRR” carries nearly 90 million passengers a year and averages more than 700 train movements each weekday. 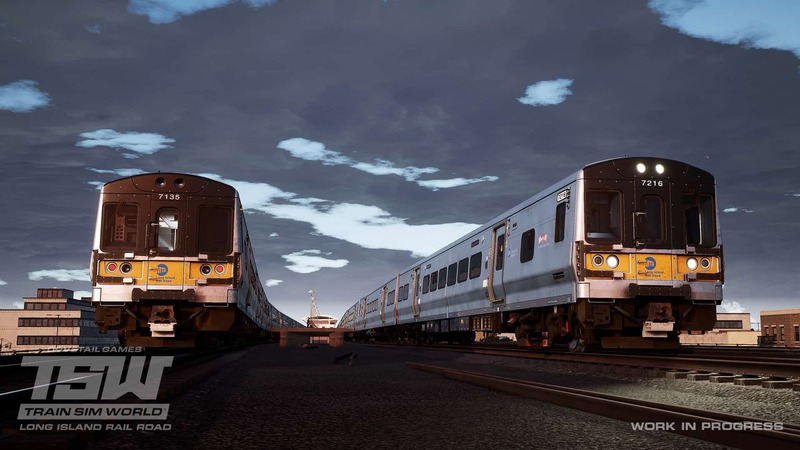 And soon, the extraordinary hustle and bustle – and unique railroading challenges – of the Long Island Rail Road will be yours in Train Sim World! Extending east from New York City to the far reaches of Long Island at Greenport and Montauk, New York, the LIRR stretches over 324 route miles and serves more than 310,000 passengers each work day on its eleven lines. Indeed, everything about the LIRR seems bigger than life: More than 1,100 passenger cars operated, 124 stations served, and home to America’s busiest passenger station (New York Penn) and busiest railroad junction (Jamaica, New York). 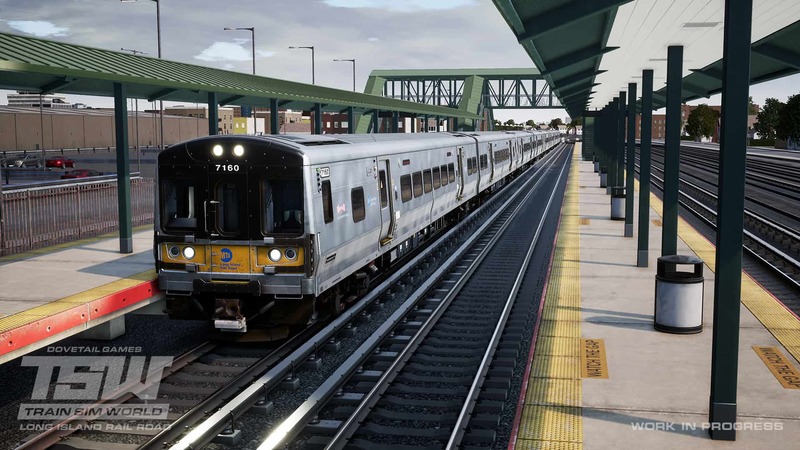 Train Sim World’s upcoming LIRR route will feature the heart of the LIRR – its ultra-busy western end which carries hundreds of thousands of commuters into and out of New York City every weekday. 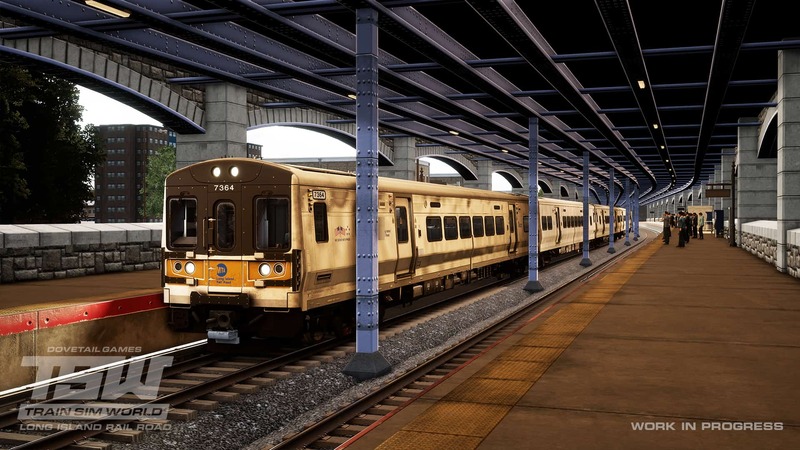 The upcoming Train Sim World LIRR route includes all three of the railroad’s New York terminals – historic Penn Station in Manhattan; Atlantic Terminal in Brooklyn; and Long Island City Station in Queens. The superbly detailed and authentic route extends eastward through LIRR’s famed Jamaica station and junction (“Change at Jamaica” is indeed part of the lexicon of most New Yorkers!) and on to Hicksville, New York, junction point of the LIRR’s Port Jefferson and Ronkonkoma lines. 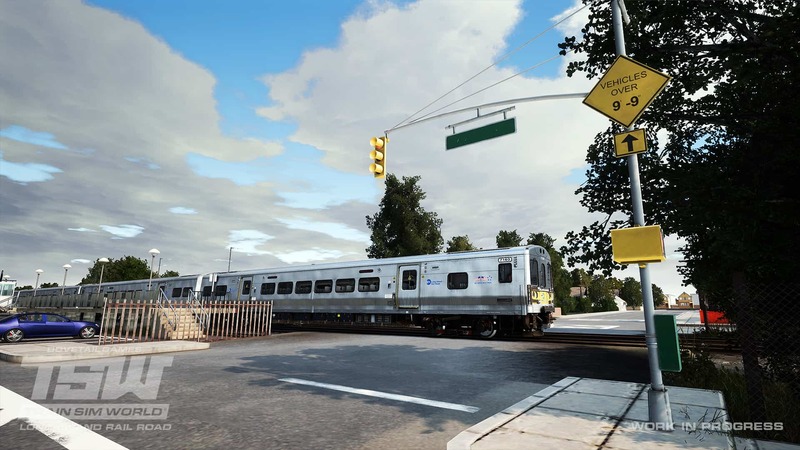 The upcoming Train Sim World route will also include the LIRR’s captivating Hempstead Branch, its line to Belmont Park, and sprawling facilities such as the West Side Yard adjacent to New York Penn Station, the East River Tunnels, and LIRR’s Hillside Support Facility near Jamaica. 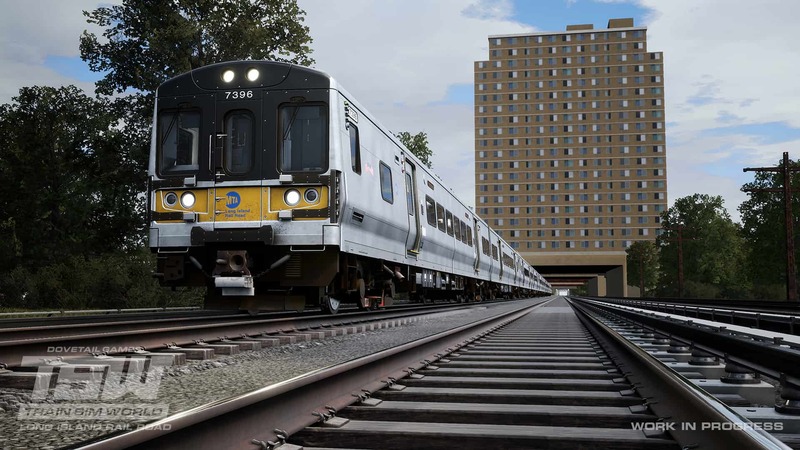 Total length of the upcoming TSW LIRR route is 42 miles and the route features 26 stations. The Long Island Rail Road is not only America’s busiest commuter carrier, but it also is the country’s oldest railroad. Chartered in 1834, the Long Island Rail Road was originally envisioned as a rail-ferry-rail route between New York and Boston but emerged instead as one of the world’s busiest commuter railroads as Long Island’s suburban population grew dramatically in the early twentieth century. LIRR came under the control of the giant Pennsylvania Railroad beginning in 1900 and during its half-century of PRR-control was notable for using Pennsy-style equipment and signaling and for being an innovator, including the D. C. (third-rail) electrification of much of the western end of its route system beginning in 1905. Following World War II and into the 1960s, the LIRR became a siren for New York train-watchers, first for its operations of classic PRR-design steam locomotives, then for its eclectic diesel locomotive fleet that featured Fairbanks-Morse and Alco locomotives. Like virtually all U. S. commuter carriers, the LIRR struggled financially and endured bankruptcy after WWII. In 1966 the LIRR was purchased by the Metropolitan Commuter Transport Authority, and in 1968 the Metropolitan Transport Authority (MTA) was formed. 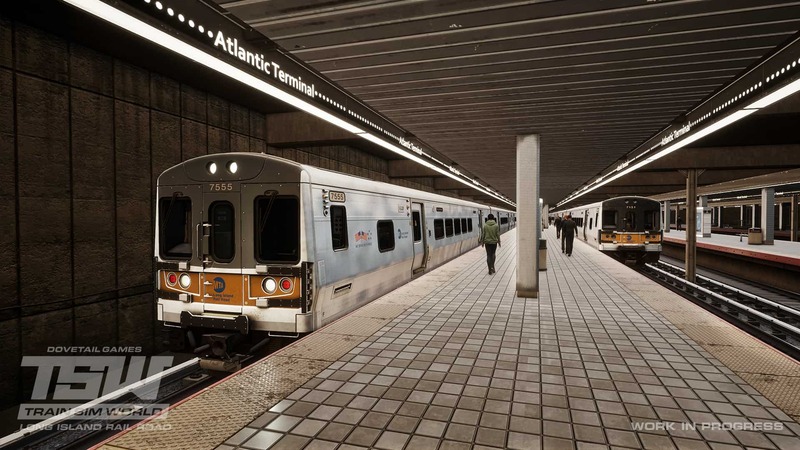 Today, MTA is the owner and operator of the Long Island Rail Road as well as the Metro-North Commuter Railroad. As its statistics suggest, the contemporary LIRR is a dynamic commuter railroad. 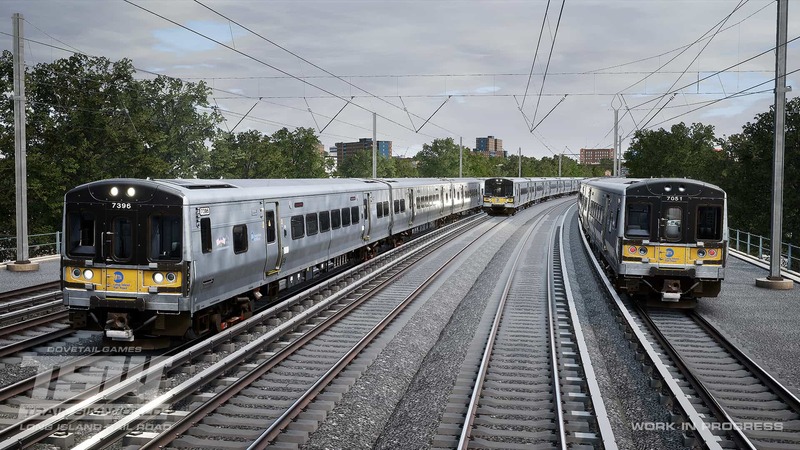 Virtually all LIRR’s west-end trackage and approximately half its total track miles are electrified with 750-volt DC power delivered via third rail. 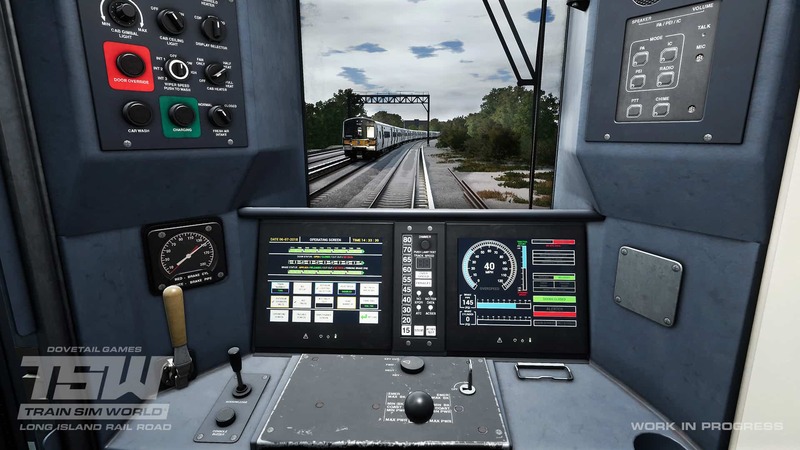 The present-day workhorse of the LIRR is a fleet of 836 M7-class EMUs constructed by Bombardier, the first of which entered LIRR service in 2002 – and with the upcoming TSW route, you’ll be taking the controls of the Bombardier M7s for challenging duties across the length of the route! Of stainless-steel construction, the Bombardier M7s were constructed in married pairs (with one car of each pair including a handicapped-accessible restroom). Each married pair has a capacity of 211 commuters, and on the LIRR, the M7s typically operate in consists of up to 12 cars in length. Maximum operating speed on the LIRR is 80 mph. 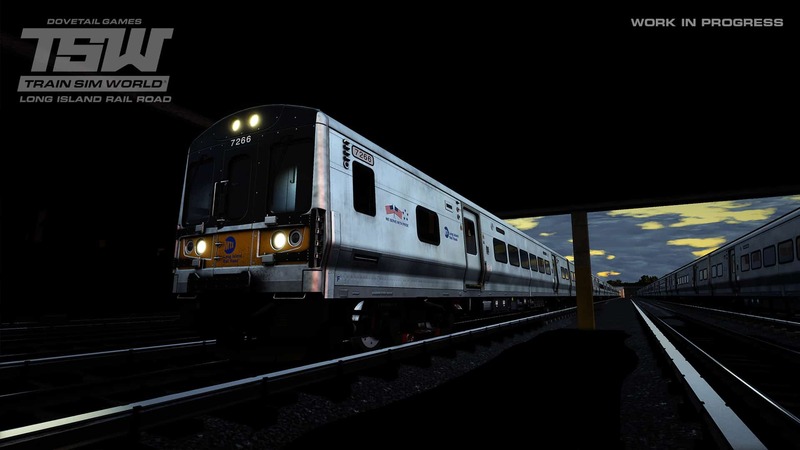 The Long Island Rail Road – America’s busiest commuter route and one of the country’s most historic and legendary railroads – is coming soon to Train Sim World! The TSW Long Island Rail Road route will feature LIRR’s always bustling lines extending eastward from New York City to Hicksville, New York. Jamaica is home to an extraordinary LIRR station (above) and to America’s busiest railroad junction! Screenshots by Gary Dolzall. 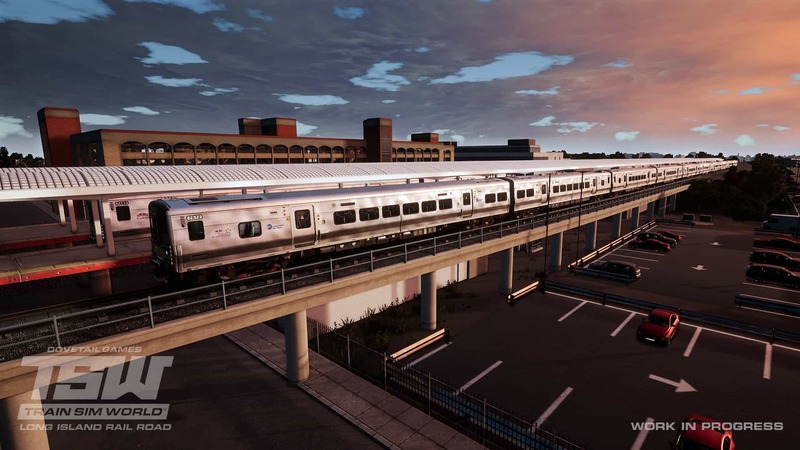 The upcoming Train Sim World LIRR route includes all three of the railroad’s New York terminals – Penn Station in Manhattan; Atlantic Terminal in Brooklyn; and Long Island City in Queens. At Atlantic Terminal underneath Flatbush Avenue in Brooklyn, a pair of M7 EMU sets await their next loads of commuters. Note: Screenshots depict content in development. Between Atlantic Terminal and Jamaica, the LIRR’s Atlantic Branch serves two intermediate stations and features both elevated and underground running. Bound east, a LIRR Bombardier M7 EMU set is pulling away from Nostrand Avenue station (above) with the New York City skyline in the distance. At ground level but tucked under Atlantic Avenue, another eastbound LIRR train makes its stop at East New York station (below). At always busy Jamaica, where more than 200,000 passengers pass through or change trains each weekday, LIRR M7 7396 leads the way with a New York Penn-bound run (above), then moments later swings through the western reaches of the Jamaica complex (below), which is the busiest rail junction in the United States. 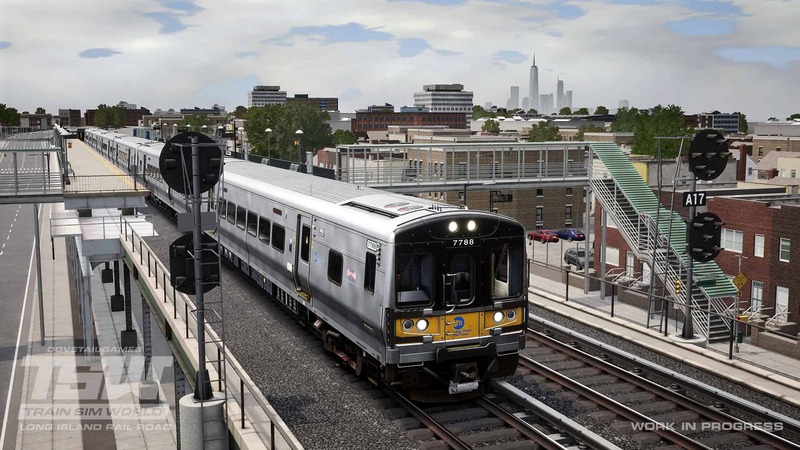 The upcoming Train Sim World Long Island Rail Road route will put you at the controls of the LIRR’s workhorse, the Bombardier-built M7-class electric multiple unit. Beginning in 2002, the LIRR placed into service a massive fleet of 836 M7s. The stylish EMUs operate at up to 80 mph on the LIRR in consists of as many as 12 cars. The TSW M7 features detailed and accurate controls and signal and safety systems. Along Long Island’s bustling multi-track, electrified (third rail) main line to and from New York City, LIRR M7 7369 glides under a large building that stands over the railroad between Kew Gardens and Forest Hills (above), then rolls into Woodside Station (below) which serves both the LIRR and the New York Subway System’s 7 Line. 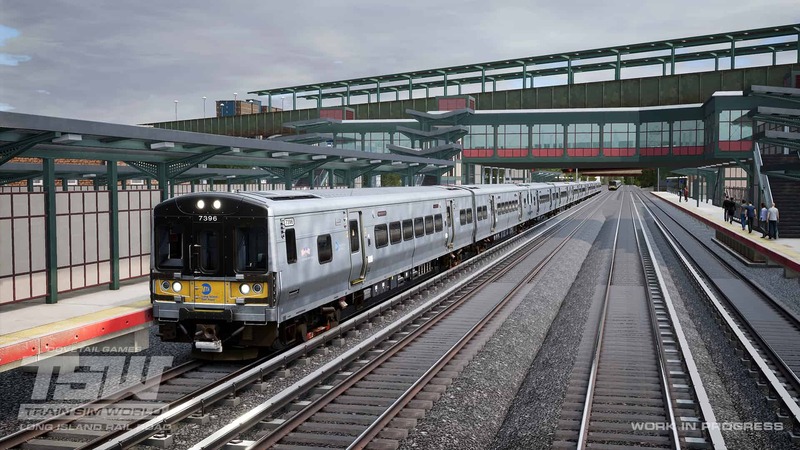 Together with famed New York Penn Station, the upcoming TSW LIRR route includes the MTA’s Westside Yard which is located on the west side of Manhattan and serves as an important staging area for LIRR movements to and from Penn Station. As dawn is just breaking, an M7 sets begins the short journey from Westside Yard to Penn Station. 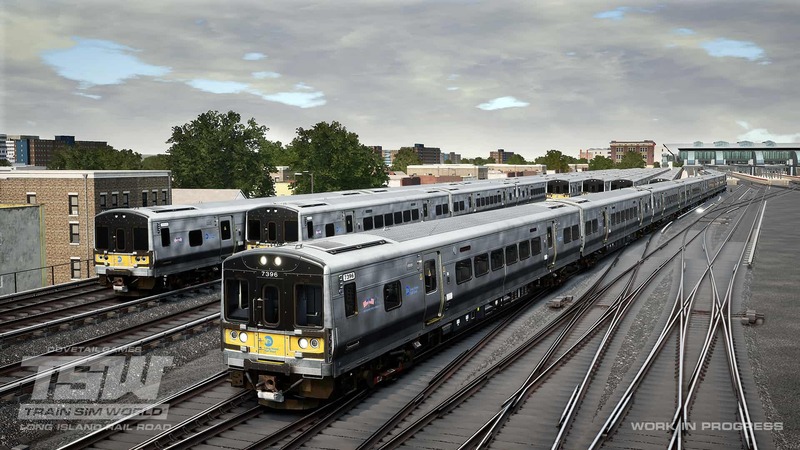 Train Sim World’s upcoming LIRR route features not only the railroad’s ever-busy main lines, but also its captivating Atlantic Branch, Hempstead Branch, and branch to Belmont Park’s famed racetrack (home of the last leg of the Triple Crown). On the Hempstead Branch, LIRR M7s depart Nassau Boulevard (above), then trundle into the terminus of the branch at Hempstead, New York (below). Eastern terminus of the upcoming TSW Long Island route is Hicksville, New York, junction point for LIRR’s Port Jefferson and Ronkonkoma lines. At Hicksville’s elevated station, LIRR trains bound to and from New York converge under a dusk sky. New York City is known as the “city that never sleeps,” and so it is with the Long Island Rail Road! 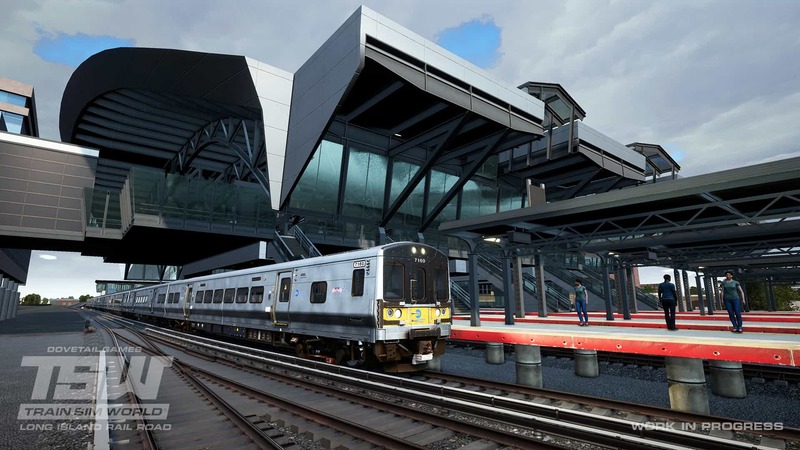 Captivating, challenging, and 24/7 modern American commuter railroading is coming soon to Train Sim World with the Long Island Rail Road route!